Pet rescue adoption is a place you may find your adorable poodle companion - either at your local animal shelter or at a rescue group. Those poodles need someone to give them a loving home. Most will be adults, but you may occasionally find a puppy. With poodles for adoption at a shelter or rescue organization, you may not get a history on your dog, won't get to meet the parents and the littermates, and the dog may have existing health problems or habits you don't like. 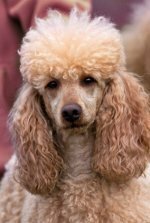 Poodles end up in shelters because their owners couldn't afford the grooming costs (or didn't want to take the time to groom and clean him), the family moved, the owner lost his job, or they become unwanted. They're not always in the shelters because they have problems. Shelters can tell you the temperament of the dog you'd like to adopt, whether she is good around other dogs, cats, children and people. They can tell you if she is shy or fearful which will mean extra training and love. Shelters typically charge a fee to adopt a poodle and puppy adopt, but it won't be as much as purchasing your dog from a breeder. You can inquire to see if they offer free pet adoption. 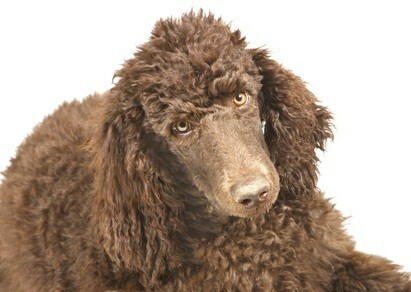 And some shelters and rescue groups may have small dogs for adoption or offer standard poodle adoption. You can find shelters or rescue groups that have dogs in your area in desperate need of homes, and find pet rescue organizations across the U.S.
You can call or visit local shelters on a regular basis to see if any poodles are there. Many shelters list adoptable dogs in a local newspaper on a weekly basis, some show available dogs on weekly local tv news shows. 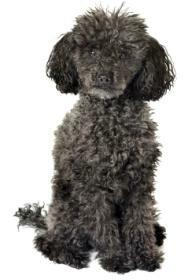 You can also put your name on a shelter's list to let them know to contact you if a poodle comes in and needs a home. Shelters may give you a questionnaire similar to the breeder's. And, they may have a contract which states the dog must come back to them if you cannot keep him. Ask whether the dog has paperwork. This will let you know the age and health history of the dog. Pet rescue adoption is great for taking a homeless poodle in. But keep in mind there probably won't be any papers. As such, the shelter or rescue group won't know the health history of that poodle.